During PM Modi’s recent visit to US where he met top notch CEOs and founders of technological companies, several new and exciting updates were announced, which were in sync with Digital India vision. In order to spread the usage of smartphone among non-English speaking population, it is very important to deliver them content and functionalities in their regional language. Sensing this need, Google will now provide Android OS in 11 regional languages of India. Although details were not shared regarding which languages are included, but Sundar made sure to make PM Modi happy as Gujarati is included in this list. This is certainly one of the biggest decisions from Google, to help the spread of Digital India vision. 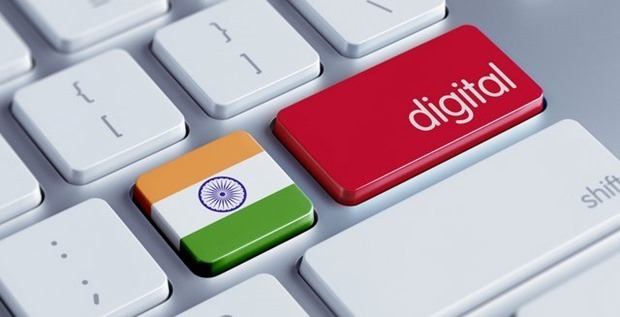 We had earlier shared that Hindi content consumption is growing at a rate of 94%; while 37% of Internet users want content in their regional language. Sundar Pichai confirmed their promise of providing high speed WiFi across 400+ railway stations across India. We had already shared this news earlier in September, when we had published some exclusive images of this project. Sundar Pichai, officially announced the WiFi project via blog, where he said that Google, along with RailTel will provide Internet access to 10 million passengers a day. To start with, they will roll out high speed Internet via WiFi across 100 stations by the end of 2015; which would be later expanded to 400 railway station. Interesting part is that, this WiFi won’t be free after first 30 minutes. However, by paying for a service, rail passengers would be able to access unrestricted Internet in train, and the speed would be fast enough to download a movie in 5 minutes! Once executed, it would be the largest public WiFi project in India. As we had shared earlier, collaboration with RailTel is the master stroke which Google has played, as they are now not dependent on traditional ISPs such as Reliance and Airtel to provide WiFi. Due to this restriction, their earlier project of Google Fiber was not executed in India. RailTel already has coverage of 63,500 kms of rail track, across 5000 railway stations; They have already laid fiber network across 32,500 kms, and work is in progress for 29,500 kms now. After disappointments from Facebook, these new updates from Google are whole-heartedly welcomed because this is the true Digital India expansion: Fair and Quality Internet for all. "Google With Digital India: Android Will Have 11 Regional Languages; WiFi Plan Across 400 Railway Stations Confirmed", 5 out of 5 based on 2 ratings. Flipkart’s Big Billion Day Sale 2015 Will Be App-Only This Year; Litmus Test For App-Only Model!